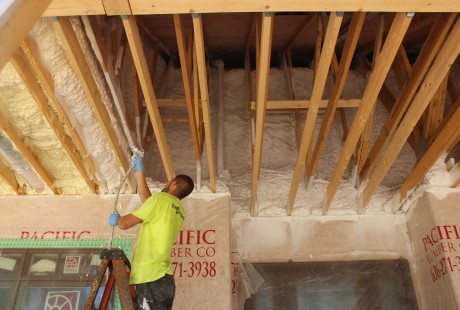 One way to ensure energy efficiency is to insulate all areas of the home, even the ones that don’t immediately come to mind. Insulating above porches is essential to achieving an air tight, efficient home. 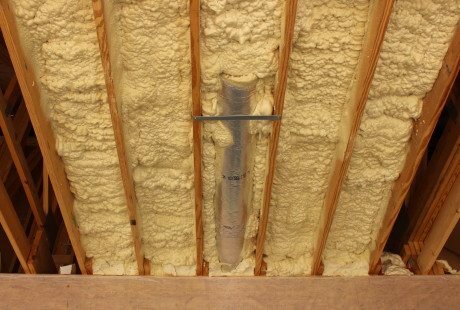 Often, homeowners chose to insulate these areas with fiberglass batts. However this is usually not the best option. This area is usually exposed to lots of drafts, even though there is a ceiling barrier separating it from the elements. Windy gusts can seep through the edges and blow batts around, causing movement. With the batts no longer in their intended place, the interior walls within are subject to leakage. 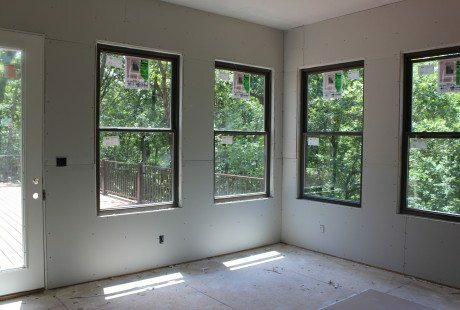 Foam Engineers applied open cell spray foam above the porch at this new construction home in the Estates at Deer Hollow development in Wildwood, Missouri. Spray foam is the best choice when it comes to insulating areas such as these. Spray foam insulation seals against all gaps, seams, and cracks. 20 years down the road, spray foam will still be exactly where it was placed. It will perform as well as it did the day it was installed. 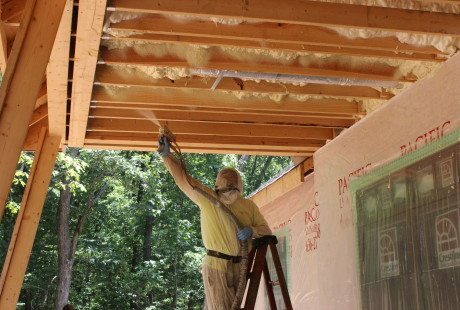 Foam engineers applies open cell spray foam insulation above a front porch. This will insulate the second floor areas of the home, preventing heat loss. The underside of this dormer floor is located right above the front porch. Open cell spray foam insulation was applied, keeping the floor warm and insulated. 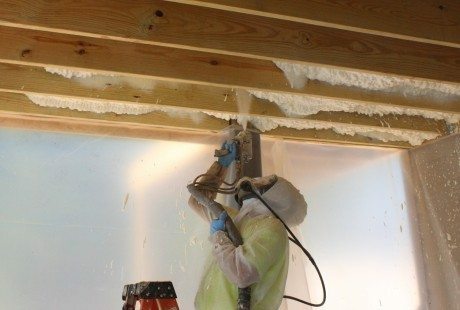 Spray foam insulation seals all gaps and openings. 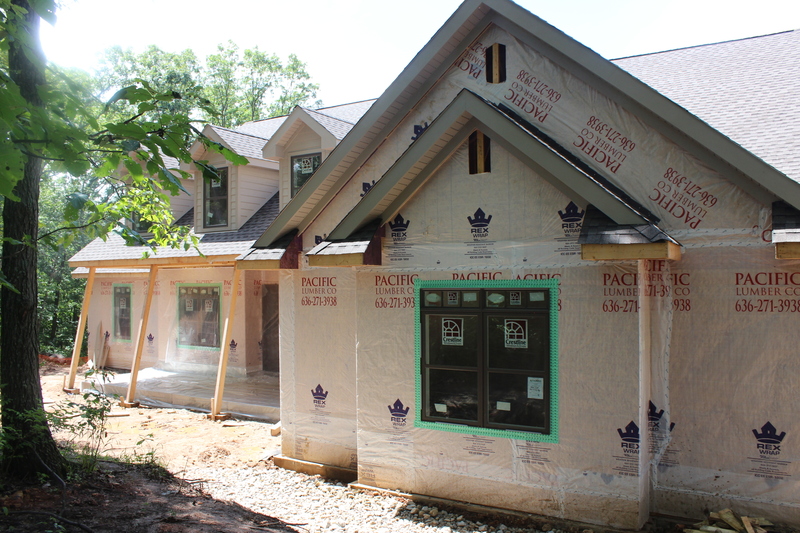 Insulation around the dormers and second floor exterior walls ensures they will be energy efficient. Foam Engineers applies a coating over the spray foam above the porch area. This particular coating gives the spray foam a fire rating. In this Wildwood home, a sun room was constructed on the main floor, directly above a walk out deck off the basement. To make sure the room was properly insulated, open cell spray foam was applied to the open area underneath the floor. This will prevent air leakage and cold floors. Any other form of insulation would be difficult to implement in this instance. For example, fiberglass batts would be hard to secure. 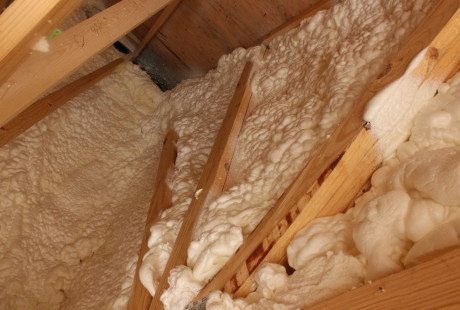 Spray foam is a great choice because it will completely adhere to the underfloor. There is no chance of movement or disruption. This sun room is located on the main floor, directly above a walk-out basement deck. 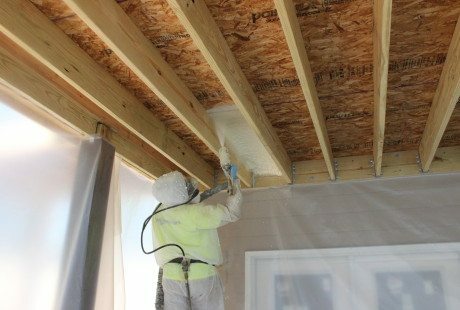 Foam Engineers applies spray foam to the underside of a main floor sunroom. Open cell spray foam is applied underneath a sunroom in Wildwood, MO. This will prevent cold floors. 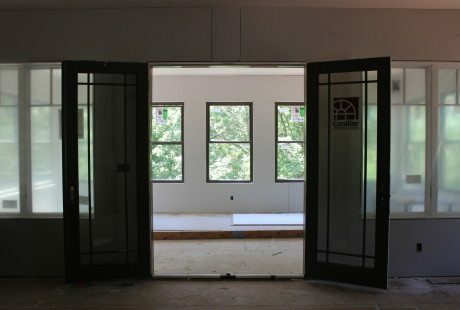 Interior view of the beautiful, energy efficient sunroom. We receive many calls from customers inquiring about the rim joist area. This is the area that exists between the ceiling of one level and the floor of the level above it. This is a prime spot for air leakage. As air rises, it tries to escape through any gaps or cracks on the way up. 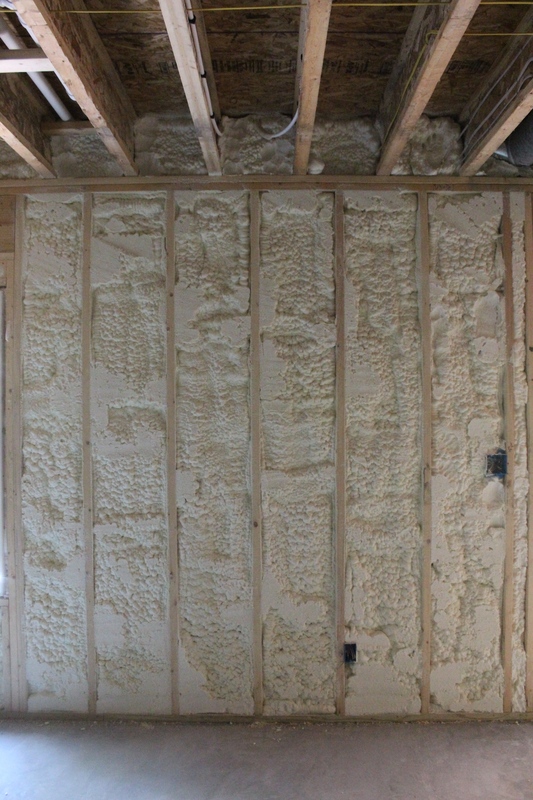 Spray foam is the best option to insulate this area. It completely seals gaps and blocks moisture from entering the assembly. It keeps the building envelope tight and prevents all air leaks. Above grade basement walls and the rim boards around the top of the entire basement were sprayed with open cell spray foam.